17-04-2017: Mars to Stay was nominated for Best Story at Fastaval 2017. Nine mission teams were launched and I got great feedback for revising the game - mainly that it is a mini campaign, not a one shot :). Looking forward to continue developing the game - get in touch if you want to run a playtest. 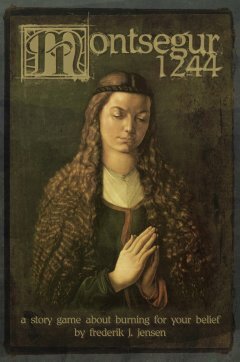 02-04-2017: Montsegur 1244 Boxed Edition is now sold out and out of print. 10-02-2017: Sign up for Fastaval 2017, April 12-17 in Hobro, Denmark, is now open. Get your ticket to Mars to Stay today! 28-01-2017: Countdown for Fastaval 2017: The deadline for sending the games to the Otto Jury is approaching fast. Looking forward to present Mars to Stay to the world. 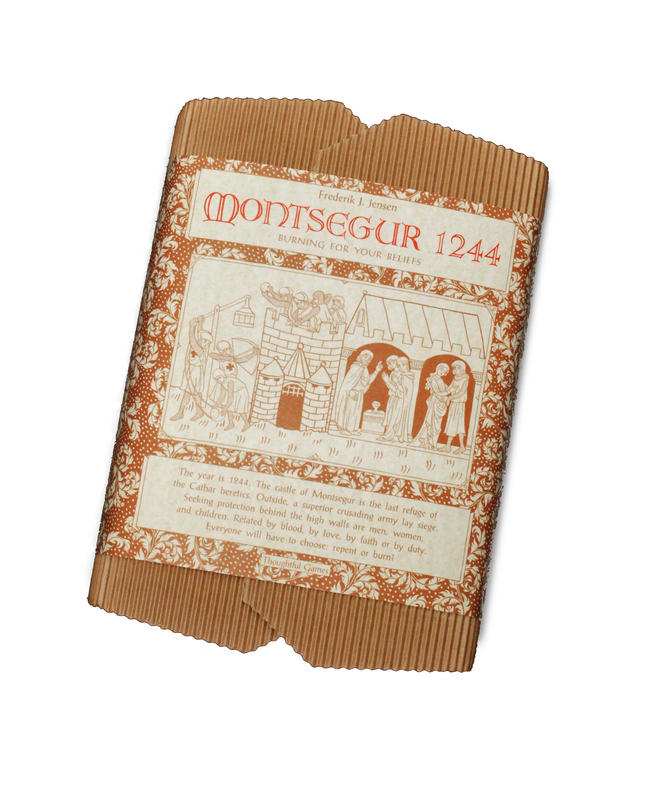 Low stocks of Montsegur 1244, I will be selling out of the boxed edition soon. Grab your copy while it's there! 05-11-2016: The Death of Rapacus ran successfully at Grand Tribunal UK in August and Viking Con in October. It's a GM less oneshot set in the world of Ars Magica. I'm now working on a game to premiere at Fastaval 2017 called Mars to Stay about survival in humanity's first colony on Mars. 01-01-2016: In 2015 I had great fun in doing a remake of the Fastaval game 'Dyst' (Joust) - a historical sportsdrama in a medieval jousting tournament. I got to play it four times with different groups and saw great drama and players engaging in the dice mechanic to influence the outcome of each joust. The game is a GM less story game with dice for 5 or 6 players and is available here: The Tournament.